The goal of Introduction to Information Systems, 7th Edition is to teach all business majors, especially undergraduates, how to use information technology to master their current or future jobs and to help ensure the success of their organization. 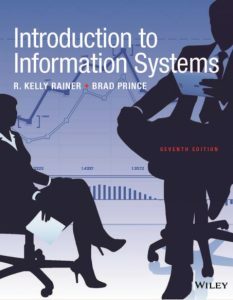 To accomplish this goal, this text helps students become informed users; that is, persons knowledgeable about information systems and information technology. The focus is not merely placed on learning the concepts of information technology, but rather on applying those concepts to facilitate business processes. The content concentrates on placing information systems in the context of business, so that students will more-readily grasp the concepts presented in the text. The theme of this book is What’s In IT for Me? This question is asked by all students who take this course. The book will show you that IT is the backbone of any business, whether a student is majoring in Accounting, Finance, Marketing, Human Resources, or Production/Operations Management. This text is an unbound, three hole punched version. 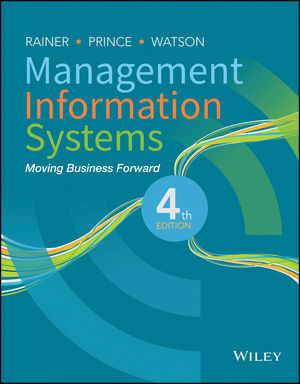 The 4th Edition of Management Information Systems promotes active learning like no other text in the market. Each chapter is comprised of tightly coupled concepts and section-level student activities that transport your students from passively learning about IS to doing IS in a realistic context. The integration of Microsoft Excel and Access exercises at the end of every chapter enables students to practice their Microsoft application skills in the context of the chapter material.